You: I know you have your heart set on long nails for your event, but I think you’ll be disappointed with that choice. Client: Why? What do you mean? You: Your natural nails aren’t long enough to provide a secure base for a long extension. Typically, we suggest an enhancement be no longer than double the length of a natural nail. This area where the free edge begins is the most common place for any nail to break because it’s the stress point. When the natural nail is present there, it forms a strong sidewall, enhancements are more secure, and we see very few broken nails. However, your nail is below the free edge. That means your nails have a higher risk of breaking. Client: Oh! Is that why my nails always break when I get them put on? I’ve always wondered why I can’t keep my nails on. You: Yes, that’s why. The nail tech who put them on should have warned you the length of the nail isn’t sustainable on a nail biter. Let’s talk about the shape of your nail, too. You want a nail that is long and pointed. Your best shape right now is square so we can build sidewalls for strength, but we’ll soften the tip. I’ve found that people are less likely to pick if they don’t have the sharp finish of a bold, square nail. Round, oval, and almond shapes are usually a safe bet for anyone, but they don’t provide as strong of a sidewall, which is why I didn’t suggest them for you today. You’ll eventually be able to shape your nails any way you’d like, but for now let’s pick the softened square to make sure you have the best success. Client: Do you think a softened square will look good on my hands? You: That’s a good question. Many clients come in thinking they want a certain shape, but then realize their nails look best when the tip mirrors the shape of the base of the nail at the cuticle. Once your nails and cuticles are healthy, we’ll have a better idea of what shape — and length — is realistic for you. 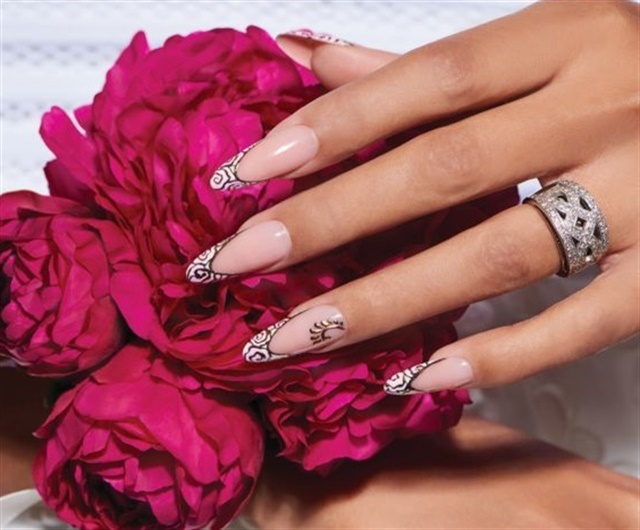 Eventually your nails will be able to handle the length of the stiletto nails, but depending on your lifestyle and job, that still may not be your best choice. If the nails are too long and you bump and bang them, your nail beds could become sore or bruised. They could even pull the nail plate from the nail bed. The best length and shape for a client’s nails begins with preference, but lifestyle and habits play a role too. Though no hard-and-fast rules exist for what is “best,” general guidelines exist. Ask if clients are active, if they tend to pick their nails, or if they will perform at-home care. Then help guide them, knowing an active-length modified square is the least likely to break. As the nail lengthens or narrows, that strength is compromised.